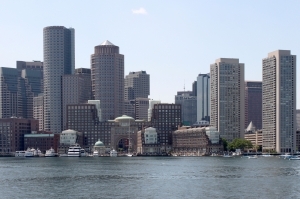 DIA Reviewing Board in Boston rules that specific findings are required in dismissing a Workers’ Compensation claim. The Massachusetts Department of Industrial Accidents Reviewing Board recently addressed the issue of when and how a workers’ compensation claim should be dismissed. In the end, the case was recommitted back to the hearing level for further findings of facet. The reviewing board essentially ruled that situations like this are very fact specific, and certain findings must be made to determine if dismissal is the appropriate course of action. In this case, the employee’s counsel failed to show up at a scheduled hearing at the Department of Industrial Accidents. The insurer argued that as a result of this absence, their rights under M.G.L. chapter 152, section 10A(3), to a full evidentiary hearing on the matter, were violated. The workers’ compensation insurer contended that they suffered “significant prejudice” to their rights to defend this pending claim. As a result, the Insurer, through counsel, moved to have the matter dismissed with prejudice. The insurer argued that a dismissal with prejudice was the only proper remedy, because a dismissal without prejudice, would simply allow the employee to file the claim again. As such, the matter could simply be brought forward again, on the same claim and same issues. Relying, at least in part on Arruda v. Cut Price Pools of Somerset, Inc., at 14 Mass Workers’ Comp. Rep. 169, (2000), the administrative judge did, in fact, dismiss the employee’s claim, but without prejudice, and the matter was appealed to the reviewing board for a determination of the issue. Further, the Review Board notes that factors to be considered in making this determination are: 1) whether there is convincing evidence of unreasonable conduct or delay; 2) whether the party seeking dismissal would suffer prejudice if its motion was denied, and 3) whether there are more suitable, alternative penalties. So, while the Reviewing Board did note that the Administrative Judge made some of the necessary findings, the specific finding of whether or not the workers’ compensation insurer would or would not suffer substantial prejudice due to a without prejudice dismissal, was left unaddressed. Therefore, the Reviewing Board, found that they were unable to address whether or not the Administrative Judge’s dismissal was appropriate. Workers’ compensation cases can be quite complex. If you are an injured employee with a workers’ compensation matter, having an experienced workers’ compensation attorney, who is knowledgeable in this area of the law, as well as the practices at the Department of Industrial Accidents, is essential in assuring that your rights are protected.